Monty Oum is my favorite animator because of his work on “HALOID, Master Chief vs Samus Aran” and “Dead Fantasy, Dead or Alive vs Final Fantasy“; Not to mention that he is also the lead animator of the Halo Fan Series “Red vs Blue“. 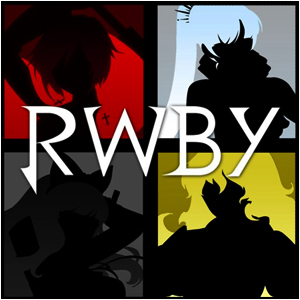 Browsing Facebook I saw that my friend Diego had posted a trailer for something called “RWBY” and said that Monty Oum was a part of it, clicking on the trailer I also saw ROOSTER TEETH was involved and after watching the trailer I could not contain my excitement. This article is going to be talking about what this series could mean for Monty Oum as well as what I believe RWBY actually is and what could happen if this is big enough. This is the very same trailer that my friend Diego had posted on his facebook’s wall and also happens to be the premiere trailer for this series. Immediately I noticed that this was made in association with ROOSTER TEETH (As their YouTube profile uploaded it) whom channel I was first introduced by way of their “Achievement Hunter” series which helps gamers out with Xbox 360 achievements for a variety of different games. The music of this trailer is is “Red Like Roses” by Jeff Williams and features Casey Lee Williams, which I think goes perfectly with the trailer (Though, some are speculating that this is the theme for the entire series). I noticed the graphics cell-shaded but I could not quite put my finger on the exact artistic direction they decided to take (Though it kind of reminds me of Wild Arms 3 in a way), but it seemed very childish, like the animations found in a children’s fairy tale book. The moon, rose petals coming from her red hood/cloak, the snow falling down seemed amazing, especially with the grave and the ambiance created by the music. The face of the girl revealed after she dodges the black wolves aiming to kill her and immediately I notice it is anime-style and not at all realistic and Western. Her face greatly surprised me because Monty (While Japanese inspired in most of his presentations) is still a Western artist and for the most part we generally have a hard time replicating believable Japanese-style animation; but he pulled it off in a superb fashion. As she floated there with the moonlight as her backdrop she looked pretty amazing, and once she freed her weapon from her cloak, that is when the classic Monty Oum came forth. So cute! So deadly! Cheeks so rosey! She seemed to use an energy based weapon because the energy gathered at the end of the barrel and released in a shot (She could stand the recoil one-handed) and it blew a chunk out of one of the wolves’ head. However, the next scenes shows that it is actually a bolt-action gun, but she did not have to manually place a new bullet into the chamber after each one, telling that it was already fully loaded and had an old world feel to it. However, once she destroyed a few wolves she immediately unfolded the weapon to show that it was also a Scythe (Many joked calling it a “Scyther Rifle”, “Gun-Scythe”, or a “Scyfle”). The scythe is non traditional and seemed to be modified especially for combat. The scythe has points on both ends of the blade, with the sharp edge resting on the inside, but the larger half seems to also have it on the outside which maximizes its effectiveness. Not only this, it has a end like a spear on the opposite end of the barrel, good for opponents behind you or for using the momentum from a swing to gut a missed opponent after a whiff.The action is pretty good overall and features his standard fight choreography which is such a stylish approach to combat that it could make even The Son of Sparda gaze on in awe. However, I did not think that this particular fight scene was on the same level as that of the Dead Fantasy series, but I had to keep-in-mind it was just a trailer to show off Red Riding Hood and her weapons in a “Let me show you what I can do” sort of manner and that her opponents were not skilled enough to fight back and produce an interesting conflict. I do, on the other hand, give Monty Oum plenty of credit for making the scythe look so effective as a tool of destruction as it is often overlooked by gaming and anime because of the awkwardness of the weapon itself and the theorized usefulness of a scythe in actual combat when compared to other polearms or even the practicality of a sword; I believe this is, in part, by the gun-functionality he added to the scythe (Reminds me of Final Fantasy‘s “Gunblade”). What I am talking about is the modifications he made, such as a weird trigger that seems to somehow make the scythe activate and decapitate (Seen at 2:22 – 2:25), and an alternate position for the blades on the scythe which makes it resemble a “War Scythe” (It transforms at 2:51 and turns back into its original form at at 3:06 after she shoots the last wolf).The very end of the movie shows the protagonist’s ammo dropping from the sky as she stands with her scythe posed with the moon in the background. 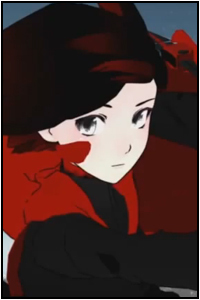 It cuts to the main logo for RWBY and the portrait for Red is filled in and thus ends our trailer. 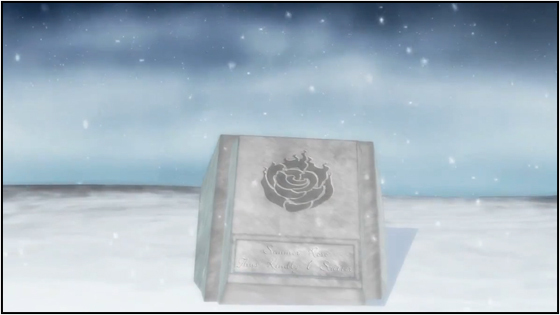 Grave that the main protagonist of the Red Trailer stood in front of. These are merely my theories based on what we have seen in the trailer and my individual speculation on what we could probably see based on if I am right or not. 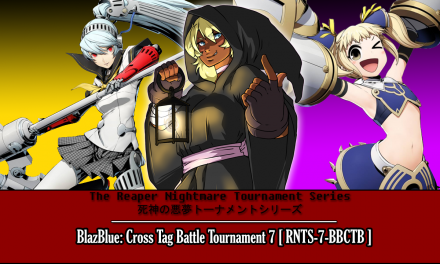 Of course all will be revealed in time, but it is mainly something to ponder about.Something that we have already concluded from RWBY is that it stands for “Red White Black Yellow”, which was deducted because of the main colors featured in the main picture used for this series. Not only that, the theme song “Red Like Roses” also says each of the colors in a different part of the song and seems like a brief description of them or at least their past story. 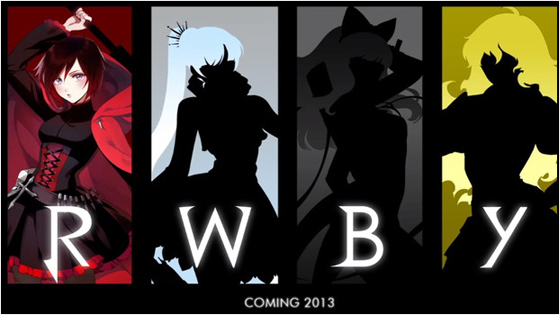 Not only is this effective in telling us that what “RWBY” stands for, it also lays hints on which characters we can expect to be introduced during the rest of the trailers. Red like roses fills my dreams and brings me to the place you rest.White is cold and always yearning, burdened by a royal test.Black the beast descends from the shadows. Red like roses fills my dreams and brings me to the place you rest. This is the very first line and it seems “Red” is based on Little Red Riding Hood. Bringing me to the place you rest is more than likely Red’s grandmother if you remember the children’s fairy tale (And the grave has a rose symbol on it and Red’s cloak produces rose petals and we see it in place of blood as she slays the wolves). We can also conclude that the wolves probably are what ate her grandmother and now she is coming back for revenge against them, and if it was not the wolves that did it, we can bet revenge is the story of why Red is going to be fighting in this series.White is cold and always yearning, burdened by a royal test. To me, this sounds like Snow White, because she has white in her name and the fact she is royalty with an antagonist that would fit Monty Oums whims. A royal test for Snow White could be her freeing her father from the Evil Queen’s embraces (There are many adaptations of Snow White but the queen is always the antagonist and is always the bride of her father, the King, after her mother passes away), which would provoke her into stopping the queen from ruling the land in her stead.Black the beast descends from the shadows. This one is a bit perplexing to me, but sounds to me like it is Beast from Beauty and the Beast. We all know the story of how the beast was a prince who was transformed into a beast because of his selfishness and greed, but this time around it sounds like it might be a princess who is transformed instead (The reason I say this is because while Monty does animate guys, this series seems to focus on girls from the silhouettes of each character). Maybe this story will be intertwined with one of the other ones and in order to transform back the beast must either kill the person who placed the spell upon her, or help out a fellow fighter to prove they are self-less (I can see this person dying or psuedo-dying in the series and being brought back to life. ).Yellow beauty burns gold. This one is a toss-up, but I will have to say this is probably in reference to Belle from Beauty and the Beast. The reason I say this is because it would give Beast (If that is what black is) an alternate route to actually transforming back to normal and that one of the most memorable scenes during Beauty and the Beast features Belle wearing a yellow dress. If this is the route Yellow takes then we will inevitably see some Yuri (Girl-on-Girl) romance if that is the case. Also, if this is Belle and her story is intertwined with Black’s, the main opponent they might be facing is Gaston, who I believe may be a powerhouse character in Oum’s depiction.Besides this I would like to guess the type of weapons they would use, but who they are seems to have no correlation to the type of weaponry they would possess. You could say that the reason Red is using a scythe is that she thinks of herself as the Grim Reapress and wants to avenge her fallen loved one, but then we would need the back stories to determine what type of weaponry they would use (By which I would guess that Snow White would use a Rapier, Black would use claws of some sort, and Yellow would use some sort of Pyromancy?) then again, no idea. But I think it is a safe bet that you cannot guess the type of weaponry they will use based on the character. Not going to lie, I really wish Monty would finish the Dead Fantasy series because I absolutely love where it was going on top of the fact that it is the one thing that made me fall in love with his style. However, I am happy he finally got his own series and will be able to tell a story his own way and I look forward to seeing his progression with future trailers and the first episode that will appear in 2013. I am just hoping that it has a good story and at least some voice acting to back it; because while I do love Dead Fantasy, it also has a supreme lack of story-telling ability but the action was good enough to mask it. Whatever the case may be, I am sure this improved animation, fairy tale twist, and Monty Oum’s combat coordination will make this a series everyone will be anxiously awaiting. Thank you for reading. Arigatou and Sayonara! Your speculation makes sense, but I'm pretty sure Monty stated that it has nothing to do with those fairy tales. Are you serious? Damn. Well, one can only sit around and wait for the White Trailer. the trigger doesn't activate the scyth, red uses to recoil to slice through as shown at 1:35 by the muzzle flash and at 2:12 where she shoots one while slicing another with the recoil. I like all of your speculations except for one. While i do believe black, even after watching the trailer is a toss up, i would have to say that Yellow will most deffinately be Goldylocks. Makes much more sense as a stand alone now doesn't it? Going back to black, are there any Japanese fairy tales popular enough to have made the cut? Though i think this is the wrong route, honestly; because of her wardrobe and her attitude i do think it's worth considering. Overall though, perhaps Adam is the Beast and Blake really is Belle. Id love to hear more as this becomes conclusive. Please keep posting what you know dear.